Investing.com – The dollar fell to one-week lows against the safe haven yen on Tuesday as escalating trade tensions between the U.S. and China weighed on market sentiment. USD/JPY was down 0.86% to 109.60 by 03:06 AM ET (07:06 AM GMT), the lowest level since June 11. 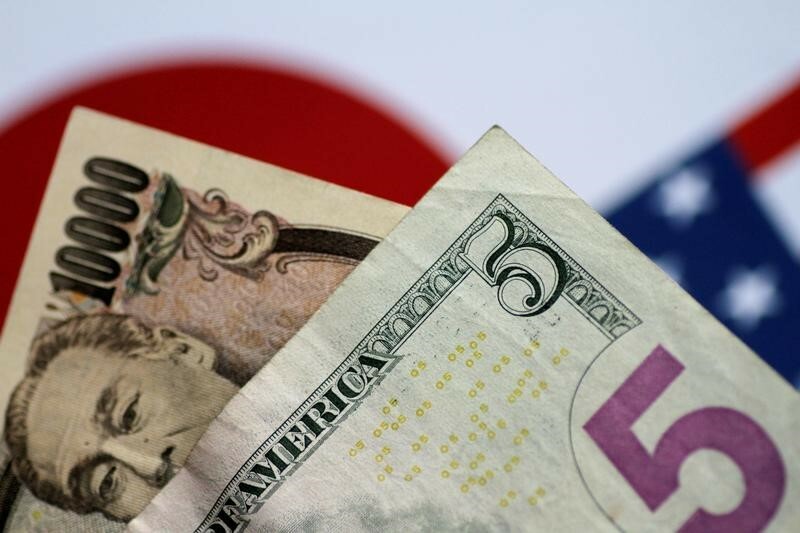 The yen strengthened as China vowed to retaliate after U.S. President Donald Trump threatened to impose a 10% tariff on $200 billion of Chinese imports. The moves exacerbated worries among investors that the world’s two largest economies could descend into an all-out trade war. The Japanese currency is often sought by investors in times of geopolitical tensions and market turmoil. The euro fell to three-week lows against the stronger yen, with EUR/JPY down 1.06% to 127.12. The euro was also lower against the dollar, with EUR/USD falling 0.38% to 1.1578 as investors turned their attention to three-day European Central Banking forum in Sintra, Portugal. ECB President Mario Draghi and Chief Economist Peter Praet and others were to speak at the forum later in the day. The pound was lower against the dollar with GBP/USD down 0.32% to 1.3203. Elsewhere, the Australian and Canadian dollars plumbed their lowest levels in a year as trade tensions weighed. AUD/USD lost 0.77% to trade at 0.7365, while USD/CAD climbed 0.32% to 1.3243.